A few Sunday’s ago I headed to Beagle for brunch and bloody mary’s for the first time. I now can’t wait to go back again for lunch or dinner or just later in the evening on a Sunday when they have a jazz band, as the food and cocktails are just too good to only go once. 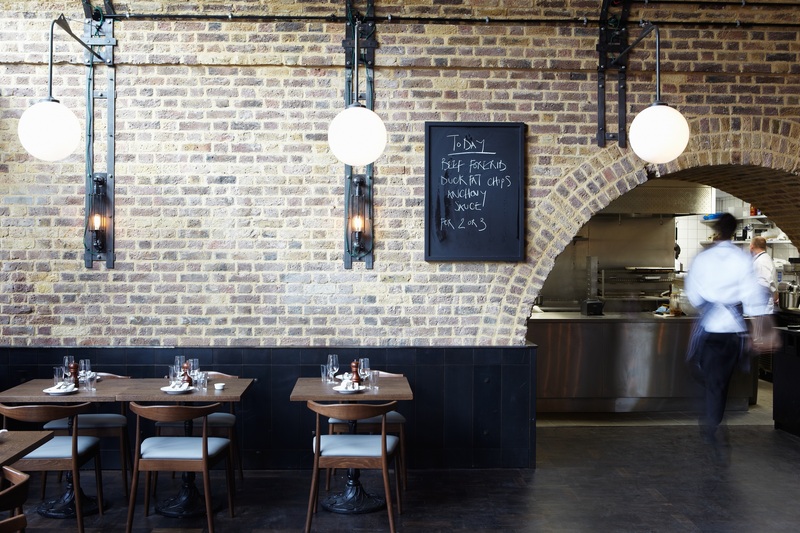 Beagle is also a very cool looking place set within 3 renovated railway arches and is so easy to get to as it’s right by Hoxton station. The brunch menu is so appealing and it made me wonder not only why I don’t brunch more often, but more importantly why I don’t brunch at Beagle more often – the menu includes oysters and buttermilk pancakes for crying out loud! So much awesome choice does however make it hard to choose what to eat, especially on a Sunday when you are a little hungover (okay more than a little) and just want to order everything, so Rob and I decided to start off with Bloody Mary’s. I went for the Racy Mary with Vodka, tomato juice, jalapeno, harissa and spices and Rob chose the Classic chorizo infused vodka with beagle mix, lemon juice and tomato juice. Now I do love a bloody mary but these were just special. Whilst enjoying my breakfast cocktail, I finally decided on the house smoked salmon and scrambled eggs with a side of avocado and Rob went for the poached eggs on toasted brioche with portobello mushrooms and a side of house smoked streaky bacon. What can I say, head chef James Ferguson sure knows what he is doing as the quality and presentation of the food was absolutely superb. Until next time Beagle, keep doing what you are doing as its 10 out of 10.